Camphor is widely used for pooja purpose in temples as well as at homes. We are an experienced name, which is engaged in manufacturing and supplying Camphor. Made from premium raw material, Mataji Camphor is packed using appropriate packaging material in order to prevent it from evaporation and contamination. 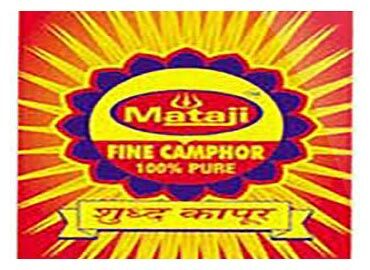 One can place retail as well as bulk orders for Mataji Camphor with us. © Copyright 2009 - 2010. Mataji Trading Co.